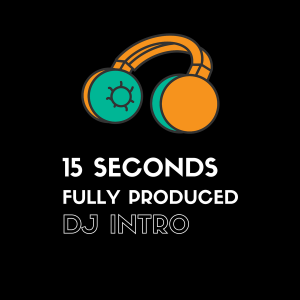 Category: Custom Fully Produced DJ INTRO. Up to 15 seconds, Dibblebee will voice and produce a DJ intro with your liners and sound effects. You will receive a unique sounding Intro, but listen to the demo to get an idea. Up to 30 seconds, Dibbebee will voice and produce a DJ intro with your liners and sound effects. Listen to the demo. Up to 45 seconds, Dibblebee will voice and produce a DJ intro with your liners and sound effects. Up to 90 seconds, Dibbeblee will voice and produce a DJ intro with your liners and sound effects. Listen to the demo. Create your own DJ Intros, drops and sweepers. Everything you need for branding as a DJ can be found here. The products offered here are created by DJS for DJS. Build your custom DJ Drop or Intro or you can select from some pre made drops. Just give us your DJ name and website and we will send you the file.